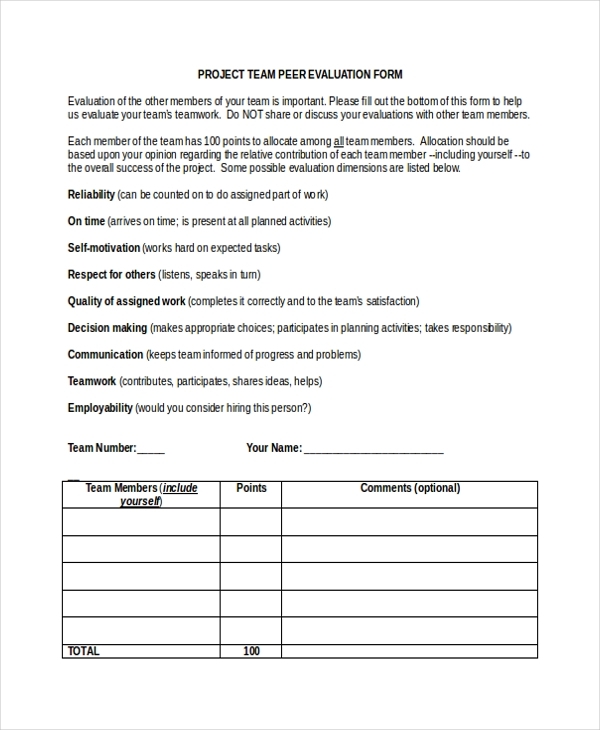 Let one group rate another in your workplace by using this peer evaluation form. Group evaluation is a perfect alternative to individual evaluation, particularly because it saves a lot of time. 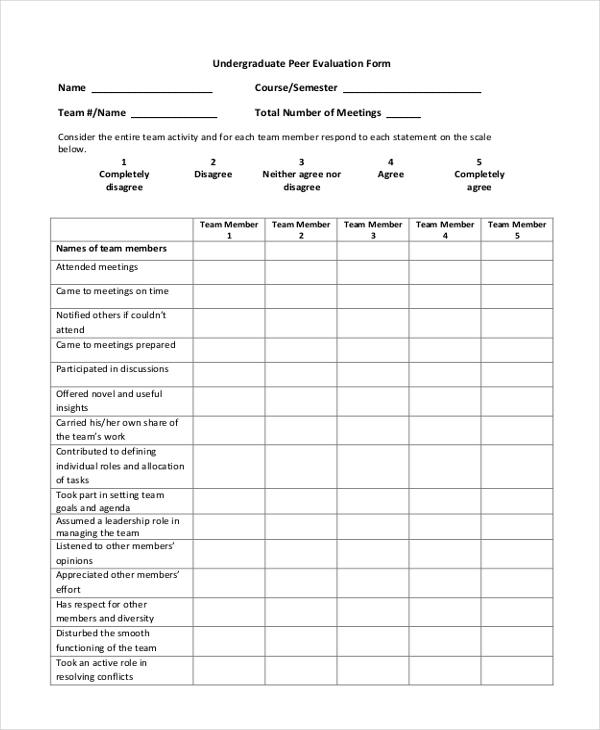 The purpose of this form is to help the members of a team doing a confidential project to evaluate the performance of each member during or after the completion of the project. When you let a peer group evaluate the members of the team, you can be sure that you will eventually get the best appraisal results. 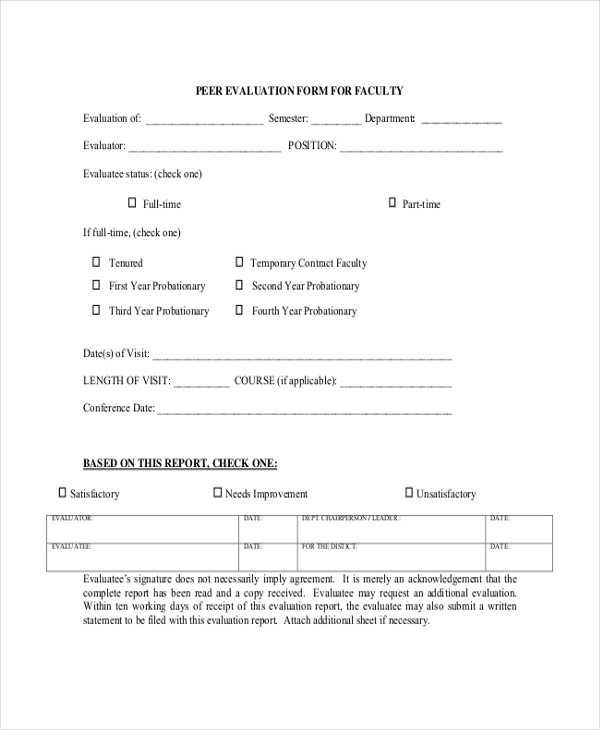 You can print and distribute this form for the process. 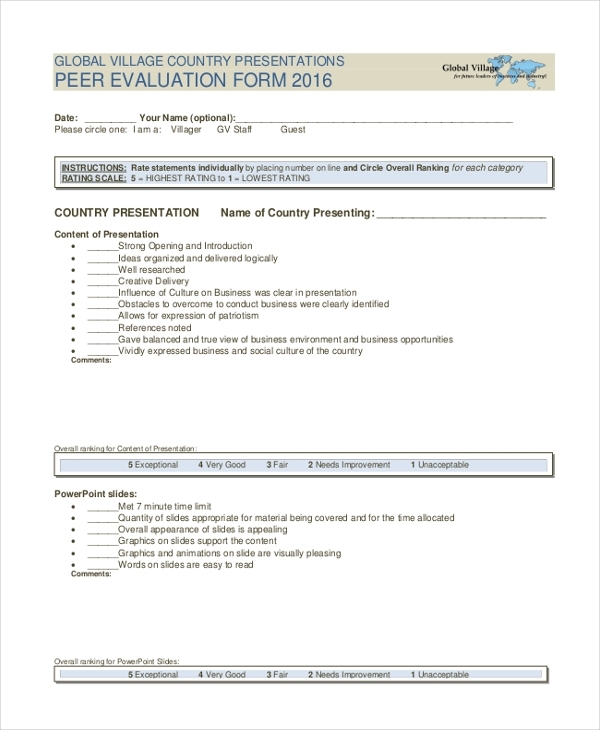 If you are looking for a good form that you can use for peer evaluation, you should consider downloading this one for free. The template is print ready, which means you can start using it immediately after download. With this template available for free download, there is no need to create your own form from scratch. You just need to download the template, and then use it for the evaluation process. Peer evaluation can take a while to complete, but it is the best way to collect important data without putting a lot of effort to it. 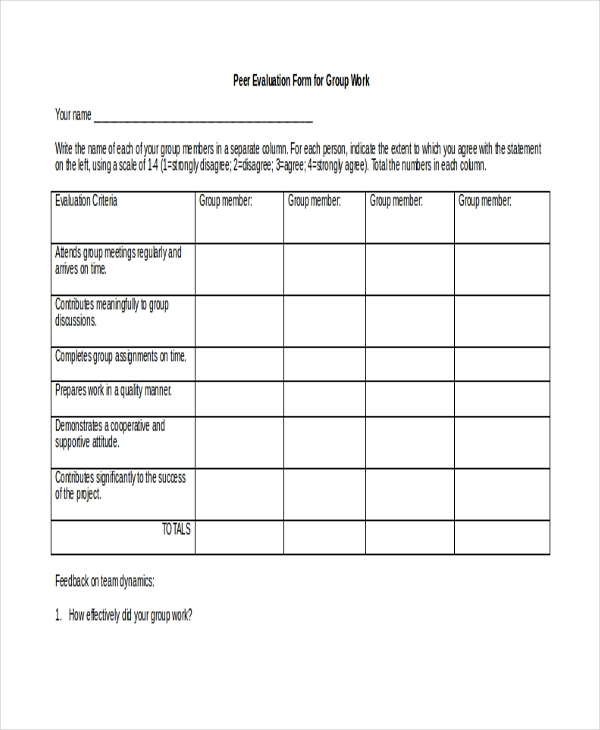 Use this form for the evaluation process. 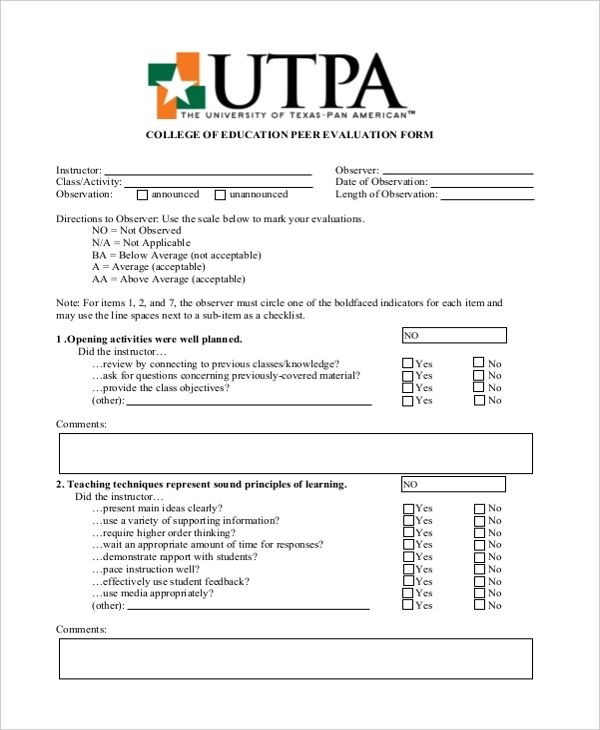 Because you only have to print and make copies of this form for the evaluation process, you can be sure that the activity is not going to take a lot of time. The form is free to use. 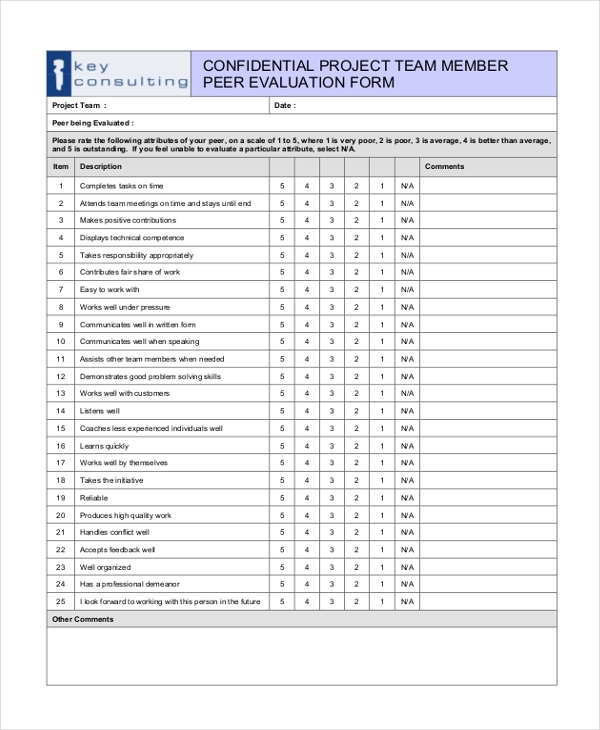 Note that the evaluation form is free to download, so you can use in whichever way you want without confrontation. It is best for evaluating the performance of a peer group. 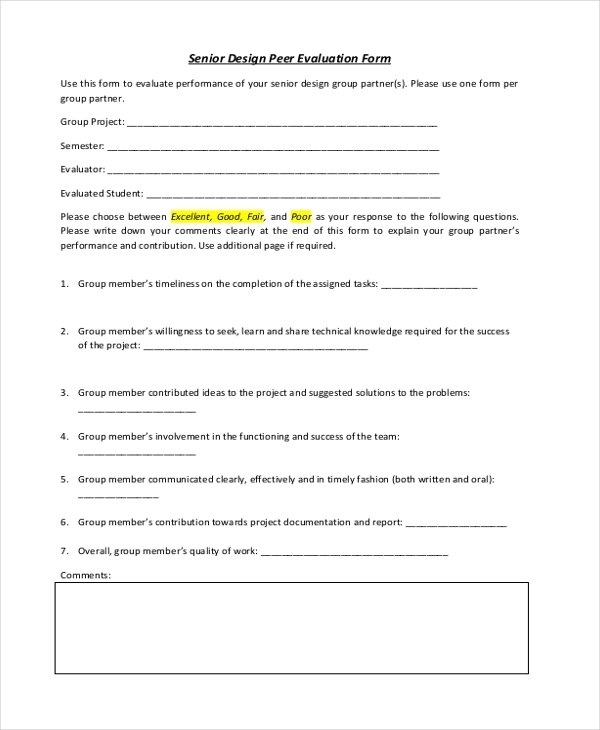 This form is suitable for university students who would like to grade the performances of members of their group. The form is easy to use, and it is available for free download; hence no need to create it from scratch. What’s the Purpose of a Peer Evaluation? In fact, the primary goal should be to focus not only on the long-term career plan of each member of staff but also the long-term goals of the company as a business. Treat the evaluation process as a mechanism for analyzing and understanding growth. Employers should the results of the approach to help employees to understand their long-term career goals as well as provide them with the necessary help to become better people at the work place. What are the core objectives for holding the evaluation event? What do you hope to achieve after the evaluation? What are the most common problems you encountered during the evaluation? What can the group do to make sure they work better in the future? There are many more questions that each peer groups is likely to ask, but that depends on the interest of the group as well as the theme of the project or topic under evaluation. If you are doing an evaluation for a general question, the results will differ, too.